“God is a Gamer” is yet another thriller novel by Ravi Subramanian. Ravi Subramanian, an alumnus of IIM Bangalore, has spent two decades working his way up the ladder of power in the amazingly exciting & adrenaline-pumping world of global banks in India. It is but natural that his stories are set against the backdrop of the financial services industry. His debut novel “If God was a Banker” won the Golden Quill Readers’ Choice Award in the year 2008. He won the Economic Croosword Book Award in 2012 for “The Incredible Banker” & the Crossword Book Award in 2013 for “The Bankster“. His most recent novel is “Bankerupt“. He lives in Mumbai with his wife, Dharini, and daughter, Anusha. 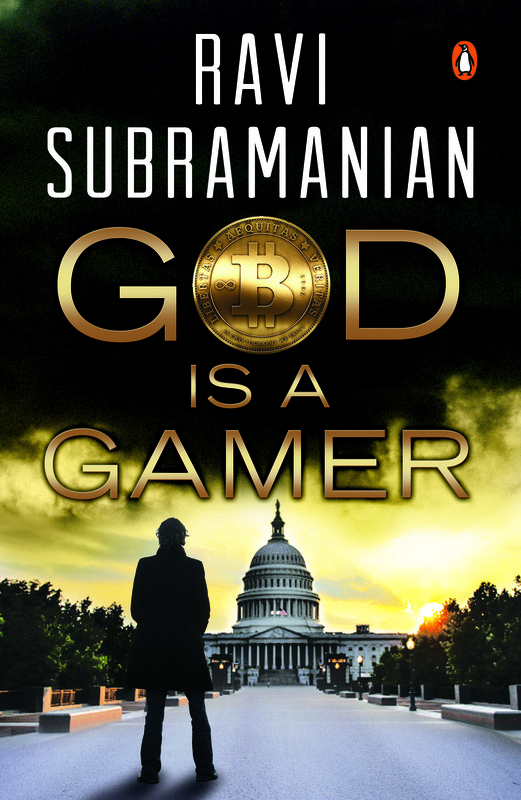 “God is a Gamer” is a 310 paged first ever bitcoin thriller novel consisting of 99 chapters. Bitcoin is a software-based online payment system described by Satoshi Nakamoto in 2008 & introduced as open-source software in 2009. Payments are recorded in a public ledger using its own unit of account, which is also called bitcoin. Bitcoin is the first fully implemented decentralized cryptocurrency; most other cryptocurrencies are similar and derived from it. It is also the largest cryptocurrency in terms of total market value. Bitcoins are created as a reward for processing work in which users offer their computing power to verify and record payments into the public ledger. This activity is called mining, which individuals or companies engage in, in exchange for transaction fees and newly created bitcoins. Besides mining, bitcoins can be obtained in exchange for fiat money, products, and services. Users can send and receive bitcoin electronically for an optional transaction fee using wallet software on a personal computer, mobile device, a web application, or a specialized device called hardware wallet. What to expect from this book? What not to expect from this book? What others have to say about “God is a Gamer“? To know more about Ravi Subramanian, visit www.ravisubramanian.in or email him at info@ravisubramanian.in. This book review is a part of Blogadda‘s Book Review Campaign. If you’re feeling lucky checkout this great bitcoin casino directory for some bitcoin action. Next Next post: Is that a Family Tree or a Complex Hierarchical Chart ?